The Return of Cthulhu, originally uploaded by SkeletalMess. This one was so damn time consuming, seems I've been working on it for weeks. Love this one! I would love to have more information on your creative process. It would be a great post subject! Incredible! Excelent! 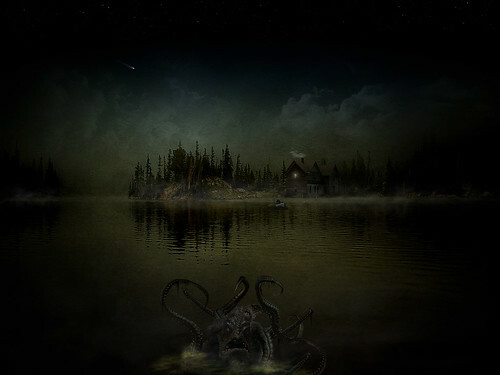 This would like to Lovecraft! I love the dread, murk, and moodiness of this work. Absolutely amazing! It's so evocative, all the work and time was definitely well spent. This is amazing!!! Wow, great design - you are really perfect! Terrific work! Really impressive and worth the effort!